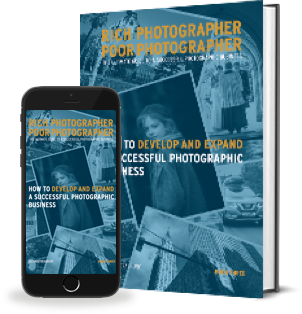 The Ultimate Guide to a Successful Photographic Business. 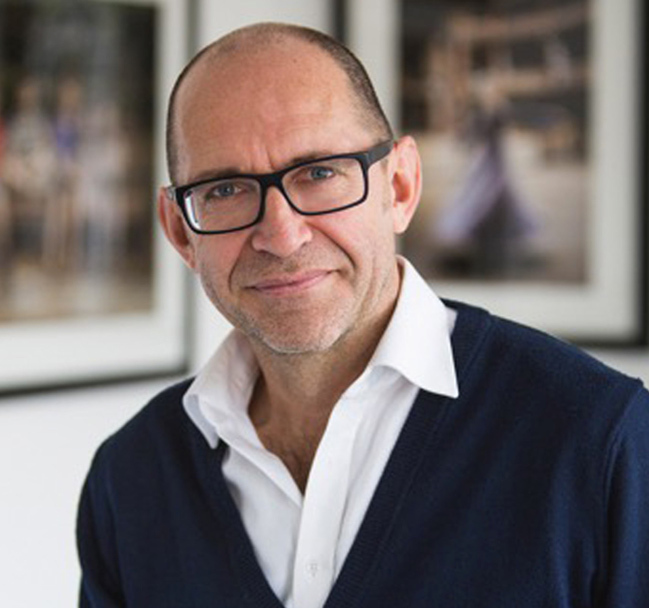 By Richard Bradbury - Multi Award-winning advertising and portrait photographer with over 30 years of experience in the business of photography. 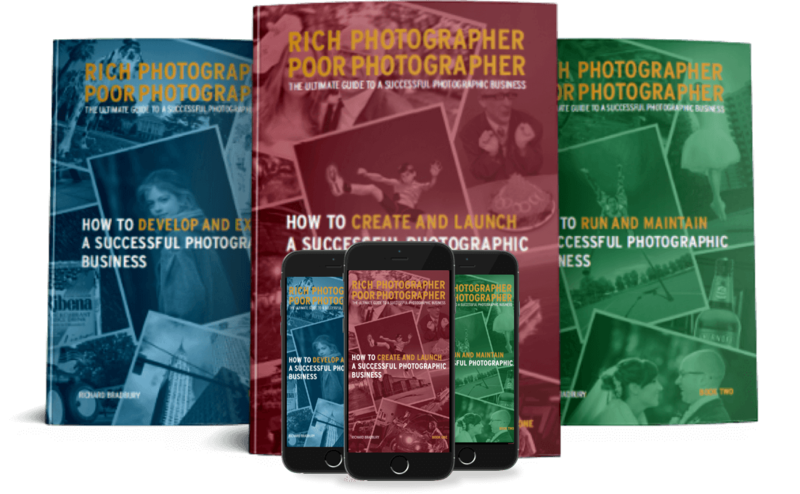 This exclusive package includes all three books in both printed and digital formats together with a collection of instructional videos and downloadable business documents that are not normally available. Crucially though for the very first time this offer enables you to have a one to one consultation with Richard in person to talk with him about your business objectives and help with any issues that you may have. It is only available at this price for the first 100 applicants. We estimate this package to be worth well over £1000.00. View the complete package details. Richard has certainly made a statement of intent with this trilogy to improve everyone in our Industry. Why were there no great books like this when I started out all those years ago? 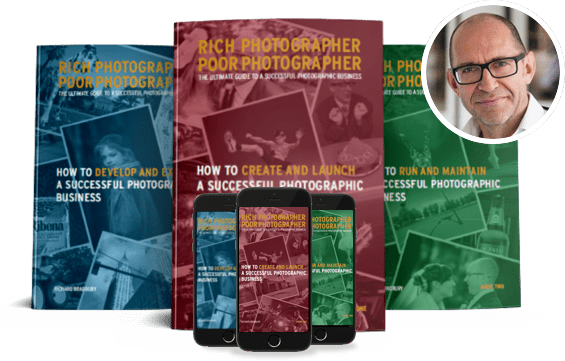 This trilogy will save you from making all the mistakes big and small in starting and running a successful photographic business. 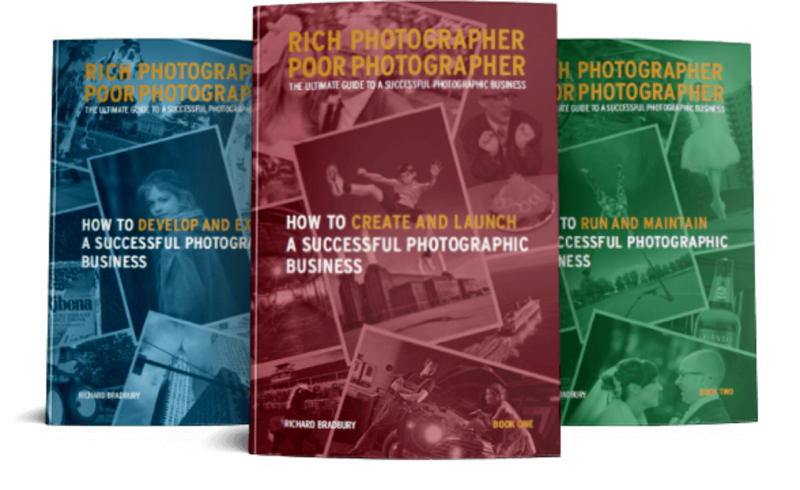 In fact, no matter what level you are at or how long you have been a photographer for, there is something in each of these three books for everyone. 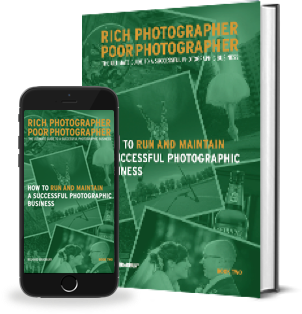 Rich Photographer, Poor Photographer trilogy should also be compulsory reading for photographic students, as it will give you an insight into our wonderful Industry like no other. There are absolute golden nuggets in every book, so don’t bother buying just one, buy all three and you will never look back, plus you will be streets ahead of everyone else out there in our challenging marketplace. Ray Lowe HonFMPA, HonFBIPP, FRPS, QEP, Ms Cr PPA. Richard’s approach is unbiased, very direct and goal driven, which is exactly what I needed. Richard is inspiring. I now have a new logo, an amazing portfolio that is still developing & most important of all my turnover has increased by 40% in one year. Richard understands how to make a business work. He is a very creative guy & a great photographer so he understands that making a success of your life is not just about the money. 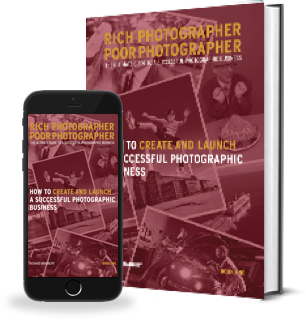 My goal was to increase my profitability so that I could enjoy my photography again. Richard helped me to change my mindset.